These are images from real ICU patients. 75yo man presented with urosepsis. After appropriate antibiotics & initial fluid resuscitation he was needing vasopressors. He had a failed insertion of R IJ CVC. Subsequently a femoral line was successfully inserted & vasopressors were started. He stabilised quickly on low dose noradrenaline. A few hours later he became more tachycardic w dramatically increasing noradrenaline requirements. What investigation would you perform, & why? 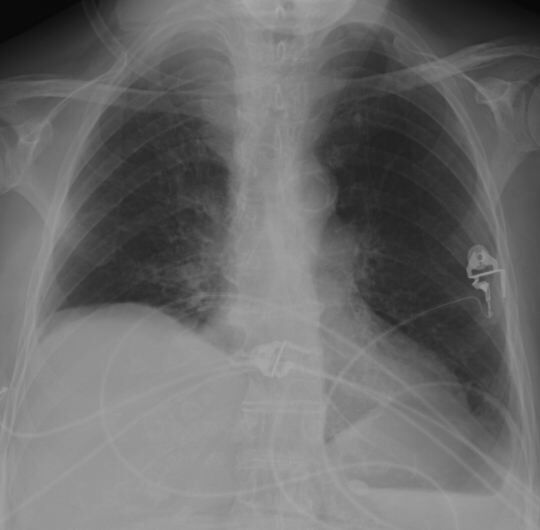 First CXR shows some R apical capping – a sign of haemothorax. The next investigation would be to repeat the CXR. 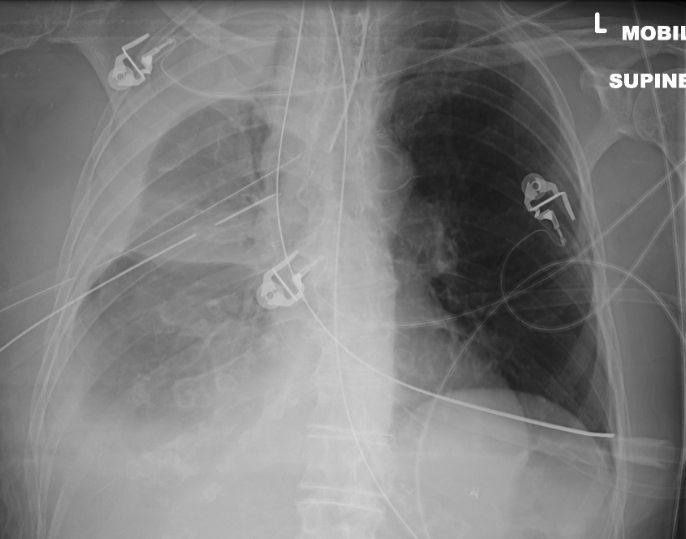 The attempted R IJ approach was very low in this case, & caused a vascular injury resulting in a massive haemothorax. 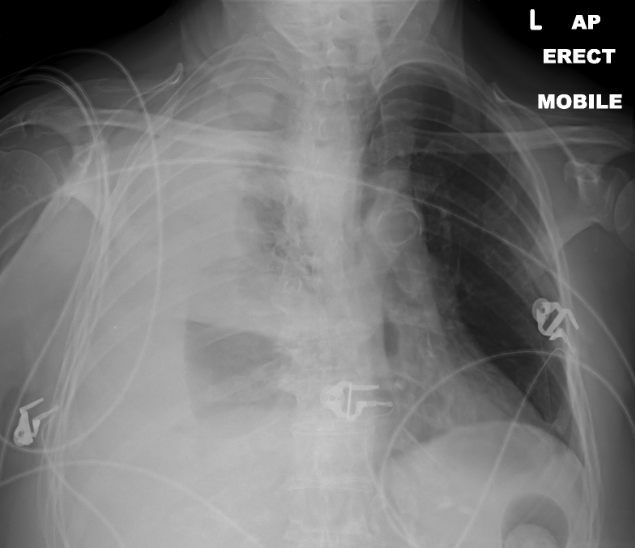 Note the associated tension pushing the mediastinum to the left side. Patient subsequently required intubation, insertion of 2 chest drains, & blood product resuscitation. This did not control the bleeding, so patient went to theatres for an emergency vascular repair. -recognise a complication early – don’t be proud! Everyone has complications at some time or other!